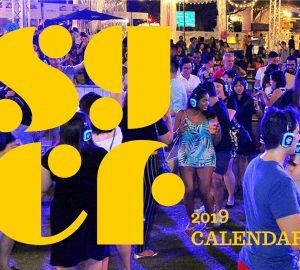 The boys from Stockton – ranked 11th on Asia’s 50 Best Bars – will be heading to the Mandarin Oriental Bangkok to take over Bamboo Bar – ranked the 8th Best Bar in Asia. The Gurungs will be serving drinks from Stockton’s brand new Origin of the Species menu, based on the evolution of mankind and an ode to the cultural significance of alcohol throughout its 9,000-plus year history. Charmaine will be presenting the Hendrick’s Botanical Odyssey menu which showcases the 11 botanicals and two essences used in the crafting of Hendrick’s Gin. Each cocktail comes with a collectible keepsake card, and there’s a special gift from Hendrick’s for anyone who collects all 13. Gotta catch ‘em all! 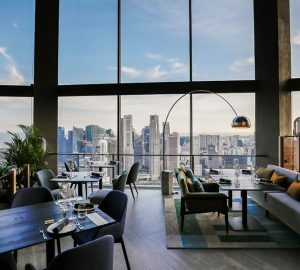 World-renowned Manhattan – which is currently dominating the top spot for the second year running on Asia’s 50 Best Bars and sitting proud at third on the World’s 50 Best Bars – is bringing a taste of its magic to Macau. Frank Gee and Timothy Rosete will be serving Manhattan signatures such as the iconic New York sour and more. 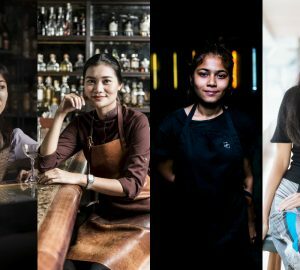 Taiwan’s Cointreau Queen winner Rita Liu will grace Hong Kong with a selection of three bourbon and whisky cocktails in the city’s newest whisky den, Whisky & Words. Cocktails include Girl Friend (Knob Creek bourbon, roselle syrup, orange juice, Talisker lemon juice) and Boy Friend (Port Charlotte, Marie Brizard Apry liqueur, maple syrup, orange juice, milk). The owners behind one of KL’s top stalwarts head to Jakarta’s Union before Karl flies solo for a shift at Singapore Shangri-La’s Origin. Two of Korea’s finest head Singapore side for a masterclass and guest shift at Fairmont’s Anti:dote. 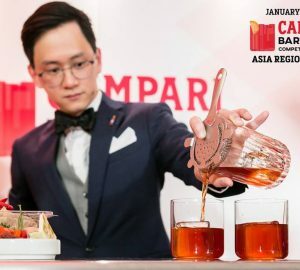 Jaejin Lim and Bonha Kim of Le Chamber, 17th on Asia’s 50 Best Bars and winner of Best Bar in Korea 2018 will be delivering a masterclass on February 23 from 1-3pm before two nights of guest shifts, serving twists on classic cocktails with modern Korean influences. Flair queen Ami Shroff was the first woman to place in the top three in a national flair competition in India, and she’s also bagged several other awards for her fab flair skills. Ami will be serving Monkey Shoulder and Hendrick’s cocktails at Moon Bar during its “Sky High Tiki Night”. Jacob Shteyntsayg – head bartender of Mandarin Oriental Macau’s Vida Rica – will be revealing the bar’s brand-new Legends & Cocktail menu to Hong Kong at Stockton. He’ll be presenting four “legends” for one night only. Tom Egerton will deliver his first guest shift in his new position as Spirits Evangelist for Proof & Company at Kuala Lumpur’s Bar Trigona. Proceeding the guest shift, Tom will be visiting mangosteen, durian and cacao farms to source ingredients for his cocktails. He’ll also be hosting a masterclass from 3-4pm sharing his findings, before shaking up unique cocktails behind the bar. 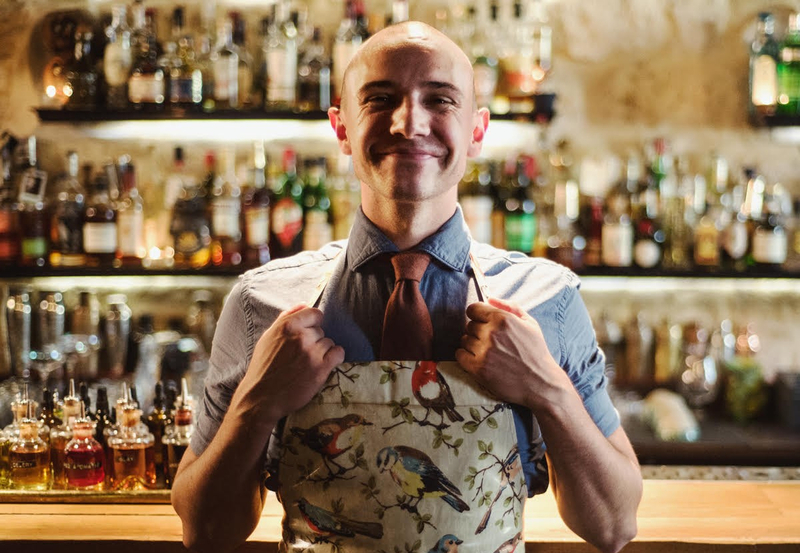 The Artesian, which took the top spot for four consecutive years from 2012-2015 on the World’s 50 Best Bars list, is sending renowned head bartender Remy Savage to recently relocated and revamped Jigger & Pony in Singapore. 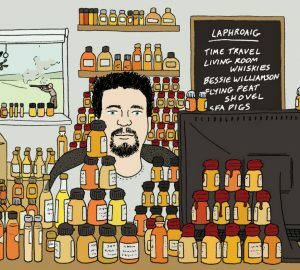 He’ll be serving up Cointreau cocktails in his infamous creative style for two nights. Agave master Jay Khan will be bringing his encyclopaedic knowledge of Mexican spirits to Kuala Lumpur’s Three X Co. Jay, winner of The Bar Awards Ultimate Bartender of the Year, will be serving up drinks from Coa’s agave-forward menu including his coconut milk punch and decaf Negroni. Parisian legend Little Red Door, which sits at 33 on World’s 50 Best Bars, will be bringing six signature drinks from its new menu due to be launched in March. All details about the drinks are top secret, so head over on one of the three nights to get an exclusive sneak peek.